This page has a few links to selected pages on this website, and to others elsewhere, of varied interest - the LinkButtons on most pages will guide you to different sections of this site. The best way to find entries for a particular item (and there can be many!) is to use a site engine like Google.co.uk. Have fun and 'rummage about'! We DO hope you find something of interest! This website is subject to constant review and the addition of new pages. If YOU feel that you have something to add please send an email - anything that might add interest for the readers of this site, which is substantially Monikie based, or connected with one or more of the subjects mentioned, will be considered by the webmaster. All copy, photographs, etc. must be free of any copyright restriction. All comments about this site are welcome. There are local maps and photographs of the area on this site - Click here to start. A page of views around Newbigging Village, situated in the Monikie parish. Family and Social Historians, and others will be interested to read here about the book - The Monikie Story, by the late Rev. W. Douglas Chisholm. This much sought-after book, originally published, and quickly sold out, in 1982, was re-printed, together with a comprehensive new Index. Proceeds are donated to the local Church, the Monikie War Memorial Hall, and to help build a new Scout Hut - check out the latest position on the web page. Another book, but with no connection with Monikie, is Industry in Montrose, by James G. Low is gladly, much more interesting than its title suggests. 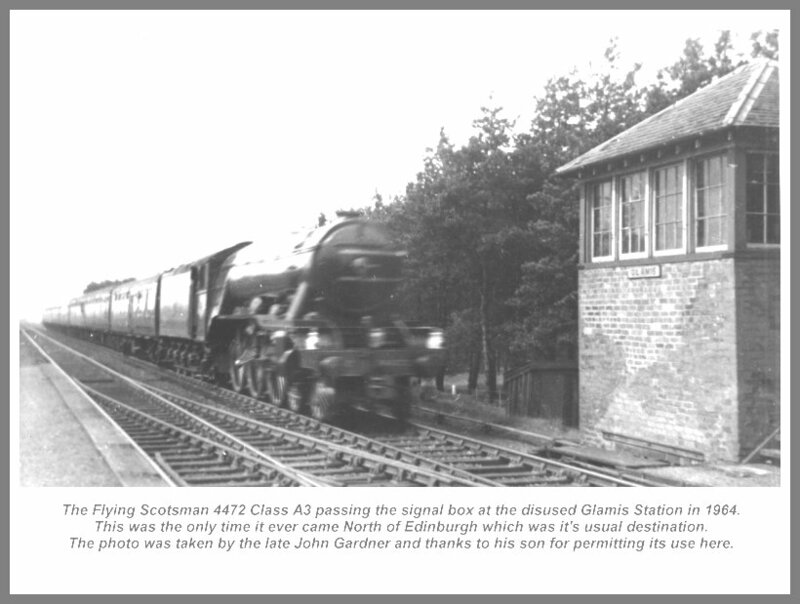 Now in very limited supply, copies are available from the Tay Valley Family History Society website. "A building with local and national historical interest" best describes Affleck Castle, Monikie, Angus. There are linked pages - the first "An Ancient Scottish Keep". The article is also available on this site, in French. The second item about Affleck Castle is a reprint of a 1969 government information leaflet, and describes the castle in great detail, and contains floor-plans. Please note that the castle is not open to the public - ask the Scottish Government why not! Historic Scotland have been repeatedly asked to reply to a letter from the Webmaster but do not! Hynd Castle is a poor ruin which can no longer be seen except up close, with permission of the farmer, and an adventurous sojourn, but you can read about it, some contributions from website visitors, and view some photographs and site map. The page about Monikie Country Park relates some of the history of the park and the facilities it has to offer. There are several other pages on the 'Net which have information regarding the park and the activities available there, but do check the dates! It flows up to Newburgh and back twice a day". You may wish to read a few copies of "Two in One" the magazine of Monikie and Newbigging Church, No recent copies are produced nor posted. You can read much about the Panmure Estate; its history and its buildings - start HERE. If you already are able to speak in a 'guid Scots tongue', or you would wish to, then you really must visit this page - but make sure your speakers are at full volume to appreciate "A Scots Wedding Service". The Monikie and Newbigging Ladies Group meets every month from September to April - you are invited to come along -syllabus available online. The Fiddlers in Panmure Road, Monikie, has been demolished for several years. The shops in Monikie an Newbigging are places where you can buy lots of goods and other things. Newbigging business also provides a comprehensive Post Office Services too, so why not send a postcard back home! So now you need to to know how to get to Monikie from the maps and photographs. Are you tired of nuisance door salespersons? Print these NO COLD CALLERS signs for your premises. Affix inside door or window glass if not using weatherproof materials). Have a read of the short poems, Dear Ancestor and The Census Taker. If you live in the Tay Valley area and you are using a Family History program on a computer to record your data you may be interested in a few pages regarding the proposed export of GEDCOM files to a large local database. It hasn't been created (yet?) but your thoughts on the subject are invited. Click here to have a look - it might give you an idea for your own area. Your views and experiences are keenly invited. As one of the webmaster's interests is Family History, might I suggest that you have a look at several pages on this site and to the Tay Valley Family History Society website, and even become a member. If your surname is CLEVELY or CLEVELEY try here for some information of interest. . . or if it's STIRLING look here. The webmaster has available. online, a large database of persons of STIRLING surname IN ANGUS, mostly around 1800s which might interest you - or you can look at nearly 400 records for OHIO, USA. And who could resist reading extracts from some old books about Monikie, other parts of Angus, the Stirling and other surnames. Read what Rabbie Burns wrote about 'Sic a parcel o' rogues in a nation!' and a link to 'The Declaration of Arbroath'. ANOTHER Tay Bridge Disaster in 1902. The Webmaster's videos on Youtube - some local. The Corries sing "Flower Of Scotland" or a few THOUSAND sing at a National Rugby Match (on Google/YouTube). Save on your energy costs, get the TRUE figures. This Measurement Conversion Factor Table can be very useFUEL ! Calculate the comparison costs - you may be surprised.
. . . and there's lots more besides on this site . . . try a selection from the webpage header buttons, or use of the site search engine is highly recommended. Statistics for this website shows the browsers being used. Postcodes and Post Towns in Scotland - a list. UK Road Casualty Statistics map - interactive for your area. Some other information or sites which you may like to visit are listed below, but . .
. . first, you may wish to plan your route by public transport, throughout Scotland. We are pleased to offer readers this facility linked to the Traveline Website. JP Coaches of Forfar run many local and private hire services. Particularly of interest to local residents is the limited service serving Carnoustie via Monikie to Forfar, also Monifieth via Wellbank to Forfar. These services run on alternate days Monday to Saturday. Details of the service are available on the Angus Council website www.angus.gov.uk. Service 81 provides a very useful service allowing visits for shopping an other purposes without having to detour via Dundee, also incorporating other rural places not served by bus operator. It will take you to the following - Aldi, Lidl, ASDA, Tesco, but always try to support your local shop first. You can see/print timetable 78/79 of the ever-decreasing services to/from Monikie and district, in PDF format HERE. Timetables now online. Fishers Tours of Dundee provide SCOTTISH EXPRESS day scheduled daily trips to various places throughout Scotland. Please note that these are SCHEDULED STAGED JOURNEYS and NOT COACH TOURS. 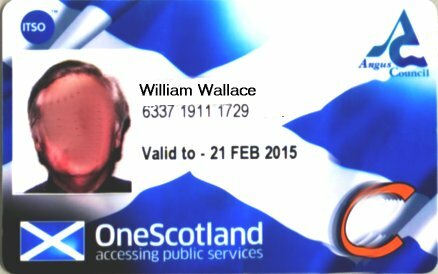 Persons who have a Scottish Bus Pass can make use of these facilities at no charge. Destinations include Aberdeen, Kirkcaldy, Oban, Pitlochry, Jedburgh, Ayr, Fort William, Callander, Inverness and Largs and buses stop at several places en route. Look HERE or call (01382) 227290 - email FISHERS TOURS for information. The bus returns to the setting-off point, by the same route, on the same day. The time available at the destination depends on the total distance travelled and the running time, but is at least enough for a 'wee wander aboot", often longer. Each journey operates to each destination, once a fortnight, but you can return using an alternative travel provider if you wish to stay for a short break, or return in a fortnight. The LATEST timetables and much more information available HERE. Angus and Dundee Tourism Association. Are you aged OVER 35, please click HERE. If you are under 35 please click HERE, thanks. Local Health Service Prescription charges have been stopped in Scotland. Click through to this site which provides a valuable service which can easily save you huge amounts in telephone call charges - www.saynoto0870.com You can see just how many companies, organisations, etc. are ripping you off, and gives alternative numbers for to you call, some free, most for very MUCH less. If a company does not provide a FREEFONE (0800) number do they really want your business? Look out for other codes which cost more than standard charges 0845 is NOT a local charge call - a lie told buy many companies - it is charged at "LO-CALL" rates, not the same. Look out for free sales numbers but expensive service numbers to the same businesses, including local and national government. Angus Council perpetrate this myth, insisting it is a 'benefit' to local taxpayers. 0844 numbers are another 'rip-off', particularly if you have a special landline or mobile call package. Companies can get paid for customers using these numbers to call them. If you want to see how you may be getting 'ripped off' go to, for example, http://www.call08.com/0844-info.php Check alternative numbers online as they often appear on other websites. If companies give a "call from abroad" number this can be included "free" in your phone deal, EXCEPT IF an 08 or 09 number. Why not call CLARENCE on 0800 23 23 23 at your local authority to report streets, lighting and other such faults? The call is free of charge from UK landlines. Not a good idea from Mobiles, though, and you'll likely be put through to some distant local authority. "Choosing between Double Glazing companies isn’t easy, it’s confusing. Which one has the most reliable products? Do they all work to the same standards? And the big question, Whose price is the best value for money? Wouldn’t it be simpler if there was someone you could trust to answer these questions for you? And not only will they save you time effort and money, they’ll ensure you get the double glazing installation you asked for with no short cuts in quality." The Webmaster can recommend THIS reliable, unbiased organisation to take the stress out of the Double-Glazing purchasing. Click HERE for the Window Advice Centre. Try a subscription to this magazine - HISTORY SCOTLAND. Fly from Stansted (north of London) to Dundee Airport near Dundee city centre. Search the Office of the Scottish Charity Regulator for details of registered charities in Scotland - and those who have not signed-up yet! has much to assist the researcher - well worth a visit to this website (note the website address carefully). BRITISH Broadcasting Corporation (BBC) in Scotland. Get the latest BBC TV Scotland nightly news (and other audio/visual items) on your computer 24 hours a day (uses RealPlayer© - download available on BBC website or below). 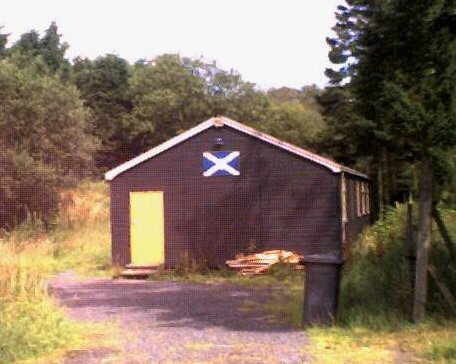 Black Watch Museum in Perth, Scotland, a permanent home. Click the badge to read more about the appeal and how to donate. Find the proper U.K. address from a Postcode, or a Postcode from an address. Many thousands of U.K. users of the Royal Mail services do not, or refuse to use their proper address and/or Postcode. Many commercial automated address services produce the WRONG DATA, but claim it's from Royal Mail -IT'S NOT! - check the facts at this link. POSTWATCH was set up to ensure that post offices, Parcelforce, Royal Mail and any competing postal providers, give the best service possible to you, their customer in the UK. Do you travel over the Forth Road Bridge? You may wish to read that the construction of the motorway link, the M9 Spur, to and from the Forth Road Bridge, opened on 3rd October 2007. This removes the notorious "Scottish Bottleneck", the A8000, which the new road replaces. From 11th February 2008 tolls on the Tay and Forth Bridges ceased to be collected. Volkswagen U.K., Audi U.K. , Skoda U.K., SEAT UK. Another freebie, c/o Microsoft, for Internet Explorer users of version 5 and above. Search for your ancestors and get FREE Family History software at the LDS site, was "Probably the best genealogy site in the World?". Are you researching the family name of "Yeaman"? The SCOTTISH 1911 CENSUS is available at the site below. If you frequently use the 1881 Census records for Scotland you may be cheaper buying the WHOLE of UK records on CD-ROM from the LDS (Mormon Church), for less than £30.00 than paying ScotlandsPeople for the same information. Visit www.scotlandspeople.gov.uk to access the World-best resource of Scottish documentation of great value to Family History researchers and others. Mark this one as a 'favourite' ! The local newspaper publisher. D. C. Thomson. Credit Card. Minimum Repayment of a £3,000 balance can take 40 years to repay! Someone with £3,000 debt on a normal high street credit card at 17.9% interest making just the minimum repayments each month can take 41 YEARS to repay it, at an interest cost of £6,300. To find out why read Danger Minimum Repayments. Scottish Parliament - offices and links. Read about the Euro, . .
UK citizens - Are you receiving too many unsolicited sales and marketing mailings and calls at home? You can put a stop to most by contacting the Telephone Preference Service on 0845 070 070 7 or, the Mail Preference Service on 0207 766 4410. Do you know your legal rights if you buy goods in the UK? Angus Council Planning Department online resource - useful site, but not the most user friendly! Are you proud to be a citizen of the United States of America? . . .
. . . or, are you proud to be British? A list of all the television and radio channels that you can watch in the UK using one of the free TV services: analogue (if still transmitting in your area), Freeview, fSfS (freesat For Sky) and Freesat. The channel number for each service is listed where the channel can be watched. Where you can watch immediately online, press the button. Read HERE about an INSTALLATION FAULT for the Freecom DVB-T USB2 stick. Get FREE, ALL ITV CHANNELS on your SKY DIGITAL satellite system. PLEASE ADVISE WEBMASTER OF ANY BAD LINKS, ETC.